We offer a variety of concrete work from simple driveways to elaborate stamped and stained decorative patios. We have the experience and professionalism to ensure a quality job every time! Integrity Hardscapes and Lawn, LLC is your single source for all your hardscaping, landscaping, or outdoor living needs. We proudly serve Kansas City clients on both the Missouri and Kansas side! For over 20 years, the concrete experts at Westpfahl Flatwork have earned a reputation for delivering top-quality, residential concrete work every time. Trust us to get the job done right! Since 1997 Concrete Design of KC has specialized in Residential and Commercial concrete flatwork. Our company has acquired a broad experience and a wide array of capabilities. Our projects range from modest projects to concrete scopes of over one million dollars. Our field staff are each fully committed and well trained to ensure your complete satisfaction. Our background includes experience in super flat installation, large scale flatwork, hardener/sealers, integral colored and stamped concrete. Concrete Design of KC has been known as the top of the standard in residential, new construction and commercial flatwork. With our experienced crews we have set new innovations in concrete work. We give our customers what they want. We offer the highest standard of broom finish, ornamental stamping, antiquing, and multi-colored concrete. E. Johnson Concrete Construction Company is a Licensed Class A General Contractor in the Kansas City area specializing in commercial and residential concrete flatwork, excavating, demolition and hauling. We specialize in challenging projects involving large scale concrete foundations, flatwork, and site concrete, and we have invested in the technology and expertise to ensure that the highest quality work is provided for your project. We have the ability and expertise to manage commercial projects; large and small. Our experienced trades people, and personnel work with architects, engineers, government inspectors, general contractors and building owners to complete projects on time and on budget. We are a locally owned & operated business servicing the greater KC area. Commitment to customer satisfaction is our #1 priority. We rely on our own skilled crews and do not sub out any of our flatwork labor. We feel this gives us an edge over our competition. Our reputation speaks for itself most of our work is from referrals of other satisfied customers. Blue River Concrete has built a solid reputation in the Kansas City area since 1997 delivering quality concrete services. From driveways and entries to patios and pool decks, our team is licensed and insured to do work in both Kansas and Missouri that comes with our "Rock Solid" Guarantee. Agape Landscape and Irrigation, LLC, is a faith based business and was founded in 2014. We have over 30 years of experience in the Landscape and Irrigation industry. We are a family owned and operated business, run on ethical business principles. We provide softscape, hardscape, some maintenance and irrigation services, including tree and shrub planting, paver patios, retaining walls, irrigation installation and service, landscape lighting and design services. If you want high quality at a reasonable price performed by skilled workers as well as being an accredited member of the KC better business bureau. Please give us a call for any of your landscape needs! "No Job too big or too small" is our company motto. Why? Because every customer is important to us. It is our business to provide affordable solutions for your concrete job. We offer a variety of concrete work from simple driveways to elaborate stamped and stained decorative patios. We do both residential and commercial work. Whatever your concrete need is, we have the experience and professionalism to ensure a quality job every time! 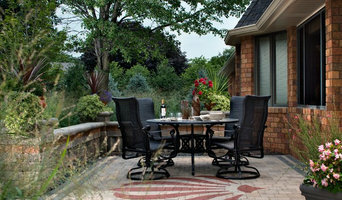 Kohler Lawn & Outdoor was established in 1992 and is owned and operated by Clay Kohler of Pleasant Hill, MO. Initially he started with lawn maintenance. Then in 1998 he added landscaping to his services. Kohler Lawn & Outdoor employs 10 full time employees and 10 seasonal employees. We are small enough to care but big enough to deliver. Our service area includes Pleasant Hill, Harrisonville, Raymore, Peculiar, Belton, Butler, Adrian, Garden City, Archie, Drexel, Lee's Summit, Blue Springs, Grain Valley and we even service the Johnson County area in Kansas. Office staff is available from 9 am to 4 pm daily. Our field employees wear uniforms. Our turf applicators are state certified and we are also certified hardscape installers (members of ICPI-Interlocking Concrete Paver Institute). 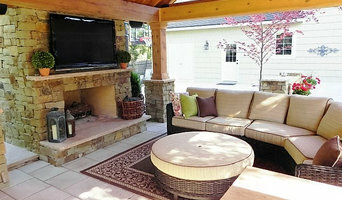 An experienced designer is also available for help in designing your dream outdoor getaway. 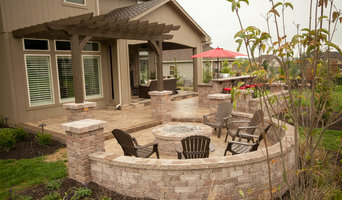 All walls and patios carry a warranty. We are a full service landscape company offering Landscape Design, installation, and maintenance, paver patios, stamped and stained concrete patios, sprinkler system installation and maintenance, retaining walls, drainage solutions, fertilizer programs, mowing, snow & ice management. Enjoy more or your home by expanding it into the great outdoors. Supreme Green Landworks can create an outdoor living area that will provide an outward expression of your home and give you a place to enjoy nature. 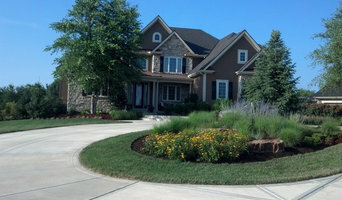 Beautiful landscaping can also improve your homes curb appeal and add value to your property. Supreme Green Landworks has the experience and working knowledge to complete any landscaping project or solve any drainage issue, all within a timely manner and within budget. We can tackle any project, from adding a few shrubs to installing an entire landscaping project from scratch or installing drainage solutions. Supreme Green Landworks also provides ongoing landscape maintenance and lawn care services, allowing you to just sit back and enjoy your outdoor living area. Artisan Landscapes LLC, in Overland Park, KS, is a full-service landscape company specializing in creating outdoor living spaces, swimming pools, and beautiful outdoor environments. 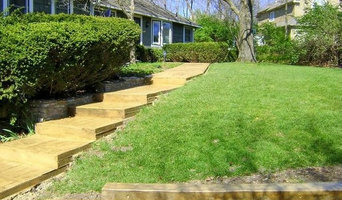 We at Artisan Landscapes take great pride in the services we provide our clients. We do not just install plants or mow grass; we create works of art that lasts a lifetime. We listen closely to our clients’ needs and desires to manifest a design and care package to meet and exceed their dreams and expectations while staying within their budget. With over 20 years of experience in swimming pool and landscape design and construction, we provide expert installation and management and take great care while working on a client’s property. We work closely with a local swimming pool contractor to ensure a complete design and construction experience. We know what to expect and we ensure our clients do as well. We are proud of our professionalism, and strive to ensure our clients have the best possible experience during the creation of their dream landscape and outdoor living space. For an affordable yet high-end look in Kansas City, MO, stamped concrete patios are the way to go. A Kansas City concrete stamping professional can replicate the appearance of natural stone or pavers, creating a surface that requires minimal maintenance. With endless decorative concrete design and color combinations, it’s important that any Kansas City, MO stamped concrete contractors you’re interested in show you photos of their work to ensure you’re on the same page.